2015- Client Affidavits Submitted in Support of Linda’s Consultative Services…..
A Hartford client writes, “The ONLY interested professional willing to assist me with my claim was Linda. . . . Due to her knowledge of the industry and the immoral practices that have unfortunately become routine with some of these insurers – she was able to stop the harassment and termination of my benefits. Thank God for that! What are the clients of Linda Nee to do if this caring resource is shuttered? What can I say but that Linda is truly a savior. Linda started assisting me to manage my claim and continues to assist me for almost 8 years now. I have been through it all, from surveillance, questioning from my disability carrier, mountains of paperwork and Dr. Appointments and more stress than I could ever imagine. Linda was with me every step of the way. She answered my calls and emails and was truly my protector and advocate. She gave me straight forward advice to ensure that I was protected and would not lose my claim. Linda has proved over the years that she has more knowledge in dealing with real life disability claim issues than any attorney I have ever spoken to. She is definitely an expert at what she does. I truly feel as though she is a member of our family now. Simply put, I would have lost my lifetime claim of over $600,000 several years ago without Linda’s guidance and assistance. Now my family and I can have peace of mind knowing we have Linda by our side and can survive financially. Having Linda as my consultant is the best financial decision I have ever made. Prior to discovering DCS, I had experienced several years of non-stop abuse from my disability insurance carrier. I spent that entire miserable period in a constant state of near paralyzing fear. I sought the legal counsel of three prominent local attorneys and spent thousands of dollars on their advice about managing my disability claim. No matter we did, the insurance carrier remained intransigent in their abusive pattern of practices. Fortunately, I happened across Linda’s website. After one conversation with her, I quickly discovered that Linda knew more about managing the disability claim process than all three of my previous attorneys combined. The best decision I’ve made in regards to managing my disability claim was to immediately engage Linda’s services. Soon after Linda began to provide me with accurate and knowledgeable advice the insurance company harassment “magically” ceased. Linda provides an excellent value for your money, and I consider her services well worth her fees. If you want someone to help you fight for the contractual rights contained within your disability policy, tell it to you straight and provide you with the best disability claims management services available — hire Linda and follow her instructions. Last, if you are not really disabled from working and are attempting to game the system; not only will Linda see through you in about five minutes, it’s simply not worth it. Being on disability is a full time, extremely stressful job that no one in their right mind ( who was still capable of working ) would ever choose over their job ( any job ). If you can work, do so. If you can’t, don’t hesitate to hire Linda. Hope this is helpful…you are the best!!! Once I became a client of DCS, Unum’s many requests and complex claims system became manageable. Linda assisted me with all of my communications and told me what was needed from my doctor to support my claim. With my physician on board and me not having to talk to Unum myself, for the first time I could think clearly. Linda prepared me for a “field visit,” which was of course really with a private investigator. Thanks to her I was able to answer his questions appropriately and with confidence. Without DCS, I would have probably lost my benefits. I was just reviewing some old disability papers and wanted to thank you for being there for for so many of us that face these situations . I appreciate your presence in my journey .Hope you have a great memorial day weekend . Take care of yourself . Linda, I also want you to know that I think you are just fabulous. You are incredible, knowledgeable and your work is impeccable. 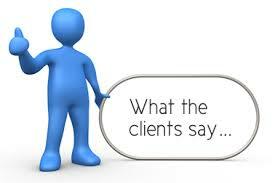 I would be happy to speak with anyone who wanted a verbal recommendation, or had any questions about your services. Thank you for all you do. Thank you, Linda, for your monthly client newsletter. It is always full of useful guidance. I’m writing to provide you with a testimonial for your updated website and blog. Good luck with the new design. I greatly appreciate your help in providing advice that resulted in getting my disability insurer to pay my claim. I know that I could not have done it without your help, especially since I have one of the unfortunate diagnoses that private insurers just love to deny automatically. Your services have been money well spent and I would recommend you highly to anyone who would apply for LTD or is facing an appeal. Thank you again for all you have done to help me. Thank you so much for all you have done for me. My heart is filled with gratitude and appreciation. You are a noble warrior whose core beliefs have aided and served so many families in their time of need. You have made it possible for my life to move to its next state. Because of your successful claims management skills and your subsequent referral to an attorney to help me with a settlement, I am able to pay off my mortgage and have significant savings as I move toward my new direction. Linda, we appreciate all the blood, sweat, and tears you put into your work. I also wish you the peace and serenity you have earned and provided for me. Thank you so much. Thanks for your October Newsletter and for all of the excellent work that you do! You should be featured on CNN as a “Hero” for all the good that you do for insureds and claimants. Today I do not have questions nor need anything but again wanted to say thank you. Not only have you helped me with my claim but my “anxiety” due to the entire LTD claim process while being on disability. We’re sorry but your company has elected to not use The Hartford At Work. Thank you. ” I felt that panic come on then calmed down. I went through entire “logical” thought process of they wouldn’t shut me out if my claim was closed. Instead I would be able to login and it would simply show cancelled or whatever, I am assuming. So they seem to just be having website updates or something. My point is without your assistance now and in the past of helping me calm down, etc. I would not have been able to do just that, think logically and calm down. I am so pleased with working with you and wanted to let you know. Please accept this letter as my unconditional and 100% letter of recommendation for the services of Linda Nee and her company, Disability Claims Solutions. Hiring Linda Nee to assist in the processing of my disability claim has been one of the best decisions I’ve made in years. As a disability insured, my life was torn apart when my health failed and I had to file an ERISA disability claim. An insured’s claim (especially ERISA) is never done. However, Linda’s expert services, guidance and support have been instrumental in helping me successfully get past the (own occupation/any occupation) change in definition; and i was recently awarded SSDI and Medicare Parts A & B. The assistance of Linda Nee was instrumental in developing the file that is essential for successful claim determinations. As a licensed attorney myself, I know how important discovery and building a file is for a successful outcome. Linda was my quarterback in building the file and hopefully avoiding fatal errors that could lead to a challenge or denial. I believe working with Linda tells the insurance company you are serious about your claim. Additionally, hiring Linda was psychologically comforting. As a disability insured I went from an in charge professional to a guy with much less control over my life. It is a scary process, but retaining Linda Nee gave me the comfort of knowing I was being proactive in my situation and doing everything I could to facilitate a successful outcome. If you are reading this, I wish you the best in your situation and believe you should: 1) get a good counselor for the emotional testing and changes in your life circumstances and 2) get assistance with your disability claim. My recommendation is hiring Linda Nee. Good Luck and God Bless.